UK: Vestas has been handed a deal by Irish utility ESB to supply 66MW for the Fullabrook wind farm. The wind farm, which is located in the north of Devon, will use V90 3MW turbines and is expected to be completed by April 2011.The deal also includes a 10-year service agreement, installation and commissioning. Speaking about the deal, Klaus Steen Mortensen, President of Vestas Northern Europe said: "When completed, the Fullabrook will become the largest onshore wind farm in England, and it is a landmark in both the development of ESB as one of our key accounts and in their strategic goal of investing €4 billion in renewable generation projects." In June, ESB acquired the upcoming 34.5MW Mynydd y Betws wind farm in Wales from energy company Eco2. Speaking about the Mynydd y Betws deal, ESB head of wind development Andy Paine said the acquisition was part of the company's aim to increase its presence in the UK wind sector. He added: "With Fullabrook and Mynydd y Betws providing 100MW of development assets, together with 24 megawatts operational at West Durham, ESB is well on the way to achieving 200MW of wind generation in Britain by 2012. We are committed to developing a balanced portfolio of generation in this market with less reliance on carbon. "ESB is delivering on its strategic objectives to become a significant investor in the UK renewables market." 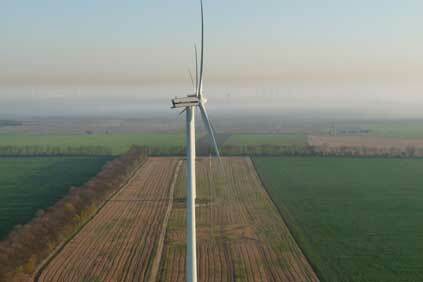 ESB also acquired the 24MW West Durham wind farm at the same time as it bought the Fullabrook project.